A typical family spends about a third of its annual heating and cooling budget—roughly $350—on air that leaks into or out of the house through unintended gaps and cracks. With the money you waste in just one year, you can plug many of those leaks yourself. It’s among the most cost-effective things you can do to conserve energy and increase comfort, according to Energy Star. Start in the attic, since that’s where you’ll find some of the biggest energy drains. Then tackle the basement, to prevent cold air that enters there from being sucked into upstairs rooms. Finally, seal air leaks in the rest of the house. Here are eight places to start. In the main living areas of your home, the most significant drafts tend to occur around windows and doors. If you have old windows, caulking and adding new weatherstripping goes a long way toward tightening them up. Bronze weatherstripping ($12 for 17 feet) lasts for decades but is time-consuming to install, while some self-stick plastic types are easy to put on but don’t last very long. Adhesive-backed EPDM rubber ($8 for 10 feet) is a good compromise, rated to last at least 10 years. Nifty gadgets called pulley seals ($9 a pair) block air from streaming though the holes where cords disappear into the frames. Weatherstripping also works wonders on doors. If a draft comes in at the bottom, install a new door sweep ($9). Pick a cool day to do attic work . Wear protective gear: disposable clothes, gloves, and a mask or respirator. Bring along a light plywood big enough to span two or three joists for support. Save trips up and down a ladder by moving up all of the materials you need before you get started. If you find vermiculite insulation, wait until you’ve had it checked for asbestos; your health department or local air-quality agency might be able to recommend a laboratory for testing information. 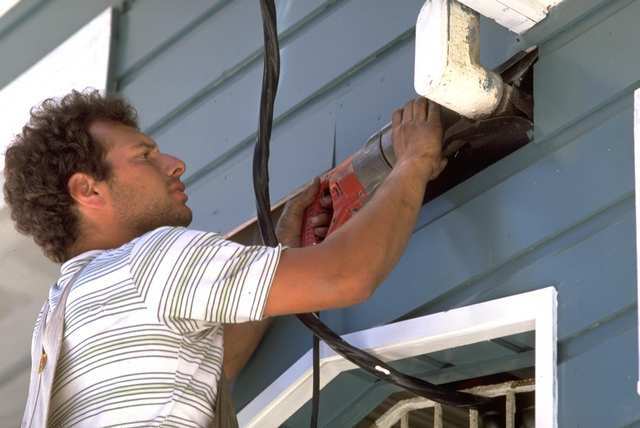 New US government proposals have made home weatherizing a national priority. As a result, expect a considerable amount of federal funds and other resources to be placed in the home weatherizing sector of our economy. Click this link to read more about how home weatherizing may become the next big ‘green’ industry. There are plenty of good reasons for weatherizing your home. These reasons may include a desire to save money, preserve the environment, reduce dependence on foreign energy and/or conserve valuable resources. Welcome to Home Weatherizing, the blog with information to help make your house more energy efficient and our world a little better place.